We will not be beat on price or service! From single items such as parcels, sofas and washing machines up to full flat or house moves. We can help with it all! We have a huge customer base, from local residents to estate agents and other commercial businesses that may need office moves. We are also registered waste carriers so if you need furniture disposing of we can take care of it for you. Why stress over hiring a van and trying to get friends or family help you move? Why not leave it to us, we are experts at moving them awkward items and we are also fully insured for loss or damage so your belongings are in good safe hands with us! Moving office ? Work Relocation ? Our staff are well experienced in the removals and waste clearance business, we have been trading for over 5 years. Please read our customer reviews if you require more feedback. Our goal is to fit in with YOUR schedule. We will do our upmost to work around an agreed time and day that suits you. We can work evenings and weekends if it suits your better. We offer a flexible professional and friendly service. Why not contact us now for a quote? You do not have to accept but we know you will be impressed! 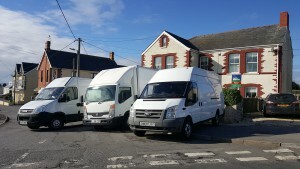 Look no further for Man and Van services in Bridgend. We also cover Swansea, Neath Port Talbot, Porthcawl, Barry, Cowbridge and the rest of the Vale of Glamorgan, Cardiff, The Rhondda, Merthyr Tydfil, Brecon, Pontypool, Newport and the rest of South Wales. We can also assist with moves around the rest of the UK. The boys worked really hard all day, everything was moved to our new house with no problems. We had an old sofa too and as BJZ are registered waste carriers they disposed of that for us too. 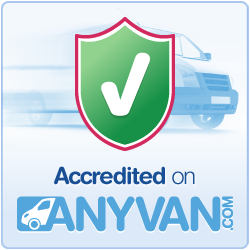 Highly recommended and will always use again for removals or waste clearances. Thank you Jenny for the nice comment. Glad we could help and make your move to your new home simple. Hired BJZ to move us from our office at home to a commercial premise office, All went well, staff were very friendly and nothing was too much for them, would recommend them and the price was very reasonable. Five stars all round! Thank you Alan let me know if we can help with anything else!